As this was my first Kilt I contacted Customer Service several times with various questions. Giovanni was always very helpful and even suggested useful instructions for the order. Great experience from start to delivery. Great kilt for the money, will have to get a new one for the colder weather. Great item. Got more common complements than I deserved for St. Patrick’s day. Can’t wait to wear it for my next event…or any random Tuesday! My son wanted a kilt for his birthday! I ordered the All Ireland Works Kilt! Fits perfect! Just what he wanted! Fast service, excellently made! I ordered another (Hash House Hunting) for my husband! 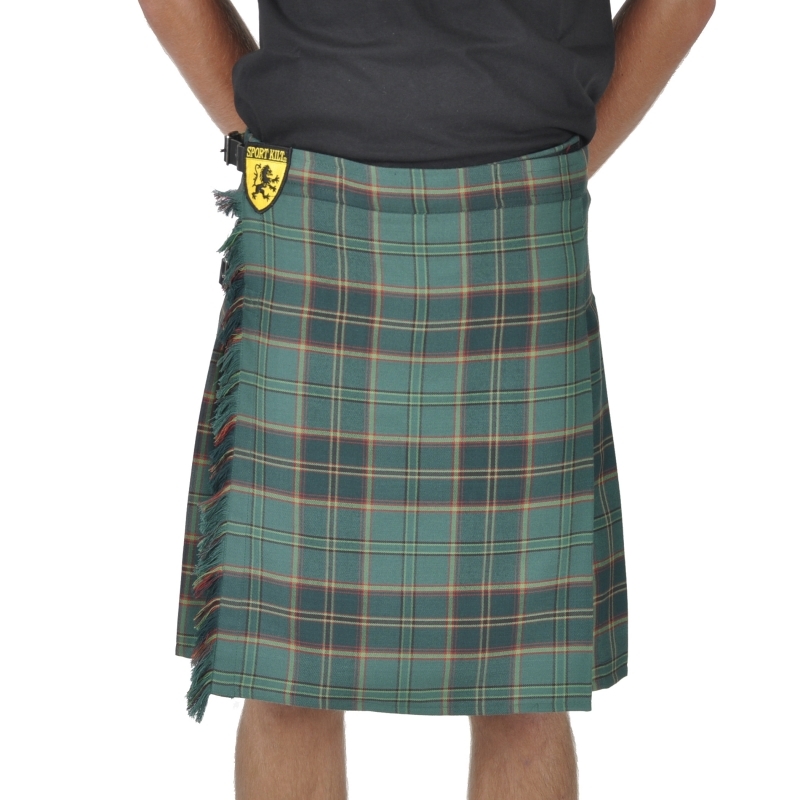 Ordered this kilt for St. Paddy’s Day festivities. Fit and finish was excellent and very comfortable. The fabric is lighter than a wool kilt so it’s very comfortable in warmer weather. Highly recommend this kilt. Just received my “works” kilt today and it’s awesome. Well made sturdy kilt. I also ordered a sporran that I’m very pleased with! Everything’s perfect, from the fit to the customer service. Shipping was quick and cheap. Very pleased! I purchased the “The Works” Sport Kilt and I am impressed. The kilt is well made and very attractive. In addition to a fine quality product, this is a great company that cares about customer satisfaction. You can’t go wrong ordering from Sport Kilt. They will take care of you. I got my kilt just in time for St. Patty’s Day. A few of the pleat stitches were loose and my wife fixed them, but other that than I love this kilt. Perfect for Texas weather and I like the Sport Kilt All Ireland pattern better than the other All Ireland patterns. Love this kilt very commfy and looks great!!!!! The looks and fits great. I haven’t had the need to wash it yet to see if anything “happens” to it, but I’m very very satisfied with my purchase so far. I own other kilts made of wool and cotton. I’d recommend the Sport Kilt to everyone; it’s a great kilt and great value. Thanks for doing what you do Sport Kilt. Purchased a Sportkilt for the Texas Rennaissance Festival, and have been wearing it ever since! Got plenty of questions about it at the event, gave you guys some good publicity. I recommended it to several people. Now I’m just looking for excuses to wear it. Thanks for everything. Excellent product at a reasonable price. Very comfortable and beautiful fabric. Will do more business in the future. Thanks! i own a bar and my entire staff wears kilts at least once a week, SportKilt is a great kilt at a great price. lighter, cooler, and easier to maintain than a heavy wool kilt, especially when you are behind the bar sloshing booze on it.